The oil and gas industry is entering a hugely important point in history. As our planet’s easily-accessible energy reserves are depleting, companies are looking towards new, and vastly more complex, techniques to assure energy supplies for the future. Some of the techniques under the spotlight are designed to recover natural resources from hard-to-reach reserves. Unconventional techniques, as they are known, are even designed to extract resources deep underground and even buried beneath hard rocks. Equipment and systems designed to reach down this far are exposed to hugely treacherous conditions, which is instigating an industry-wide review of appropriate materials and advanced surface coatings. In growing numbers, countries are beginning to realise the potential of unconventional oil and gas techniques. In the United States alone, the International Energy Agency forecasts a 30% growth in domestic oil production over the coming 6 years, despite the fact that natural reserves are slowly depleting. Clearly, there is huge promise in developing highly efficient and effective unconventional oil & gas techniques. Yet there are several intrinsic materials challenges which are preventing these techniques from reaching their true potential. Most of these challenges come down to reducing cost – making unconventional techniques more viable – and increasing the control oil and gas companies have over the real-world performance of their extraction equipment. Control and precision have become two critical requirements for engineers working in the industry. Computer aided simulations and similar technologies are increasing in usage, reflecting the much more tactful approach the industry now needs to take with these techniques. Now, it’s up to materials science companies to ensure equipment is up to the challenge. Simulation techniques are allowing engineers to deploy highly effective solutions. They maximise the resources extracted from each and every project, as each element can be fully optimised for the task at hand. However, even the most advanced simulations cannot account for every single challenge faced by every single component – and that’s where new revolutions in coating technologies come in handy. 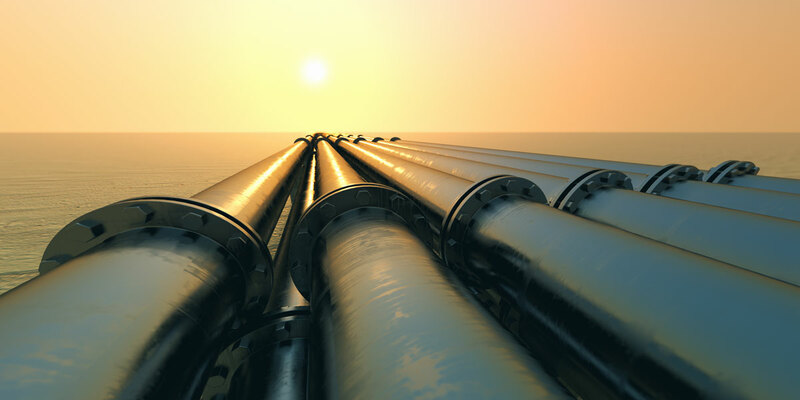 Engineers in oil & gas are extremely well versed in the challenges corrosion brings. Unconventional techniques, however, bring new forms of corrosion into the mix. Historically, a number of techniques have been used to tackle corrosion. However, many of these solutions lack the complete protective qualities that are required in unconventional oil and gas techniques. Efficacy, efficiency and cost are the three most important indicators of viability in unconventional oil & gas extraction. To ensure the process is quick and highly efficient, components need to perform under pressure at high speed––some techniques are designed to complete an extraction after some 2-3 days of initial drilling. The speed at which machinery moves underground (often at speeds greater than 60 km/h) combined with the natural hardness of rock can cause a number of issues––including denting. In highly precise applications such as plug-and-perf, small dents can cause entire operations to cease. Protecting vulnerable components with the optimum solution is therefore critical. However, the precise nature of some of these components demands highly accurate coatings, within microns of their designed thickness. Achieving this level of coating selectivity is difficult with many of the customary oil and gas coating solutions. Due to the challenging nature of the environment, forward-thinking engineers are already considering the array of advanced surface technologies available. 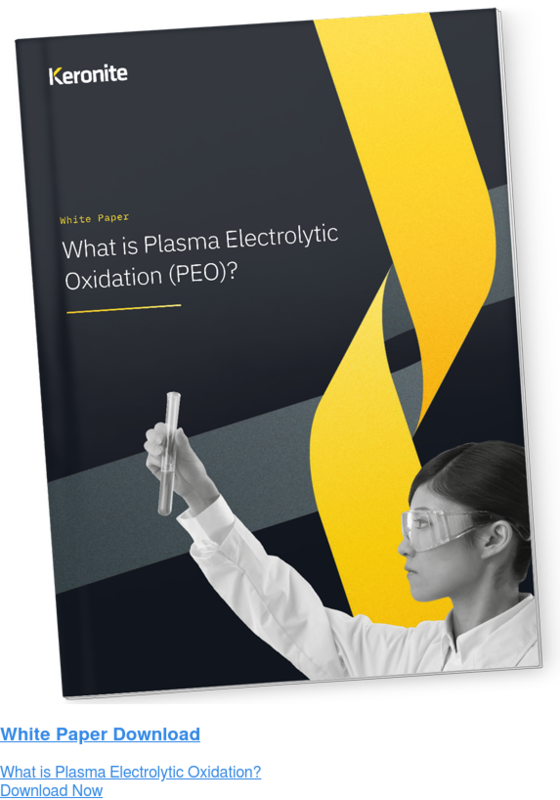 Innovative techniques, such as plasma electrolytic oxidation, are enabling components to thrive in hugely challenging environments––particularly in duplex corrosion-resistant solutions for oil and gas. Keronite’s scientists have successfully designed and deployed a great number of coatings within the oil and gas industry. In conjunction with several research partners, Keronite’s latest focus is on developing electrolyte compositions which increase light alloy life in tough plug and perf fracking solutions. To find out more information, get in touch with our team of scientists here. New-found unconventional techniques are disrupting the worldwide oil and gas industry. Now, companies are moving towards highly complex techniques (including simulations) and investing heavily in state-of-the-art systems to efficiently recover resources. Now that these systems are off the ground and running, the focus is turning to the future viability of these techniques. In particular, the new focus is on the life of materials––helping to reduce the costs of new projects and making unconventional oil and gas techniques more scalable for the future. Innovative surface technologies, such as those pioneered by Keronite, may just show the way for the future of the industry.